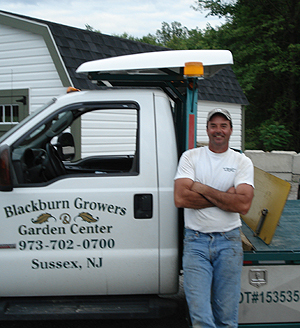 J&G Farms, formerly known as Blackburn Growers & Garden Center, has been selling flowers and plants to the Sussex County New Jersey community since 1978. J&G Farms is a local family business, owned and managed by Greg Blackburn, whose father and grandfathers were all in the agriculture business. Our main location is 241 Rt. 565 in Sussex/Wantage, where we grow our plants on over 50 acres of fertile farmland. Our Garden Center and 11 greenhouses occupy over 11 acres of land. We also have a Garden Center on Rt. 206 in Branchville for your shopping convenience. We are proud to be the county's leading source for fine Amish Sheds, offering the highest quality at the lowest possible prices! From Cottage-style Garden Sheds to Dutch Barn Garages, we have it all! Stop by and browse through the many sheds on our lot. 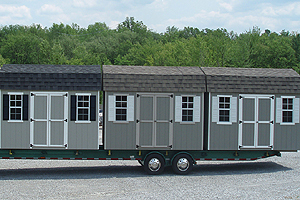 Or custom order a shed or garage from our wide variety of styles, sizes and colors. The experienced staff at J&G Farms will be happy to help you custom design the perfect out-building for all your storage needs.